How would you like to embark on a unique tour of China that has been entirely tailored to your specifications? 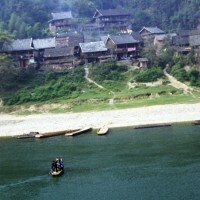 Do you want to explore a more authentic side of China, separate from the conventional tourist attractions? Are you ready to experience a culture that is vastly different from your own? Then you need a solid travel plan. Before you set out on this unforgettable adventure, it’s essential that you prepare all of the necessary information you’ll need about the places you want to visit. What specific locations do you want to go to? What will the culture be like, and how will you adapt to it? Choosing the locations you want to visit is the exciting part, but sorting out the logistics of your travel route can be tiresome. You’ll have to ask yourself: How am I going to get from A to B? What’s the local transport going to be like? How much is this all going to cost? The destinations you have always dreamt of visiting, the mysterious places virtually untouched by time, may be very remote and difficult to get to. In fact, some of these places may be so remote that you won’t even be able to book hotels there online, and the language barrier in these areas will be at its most noticeable. Sourcing vital information about the culture and the customs of these areas, researching them, compiling the information, and building your travel plan around your findings, will cost you precious time that you may not have. You may be able to extract some information from travel articles but, if you want a real sense of security, you need to consult a travel agency with experience. So why wait and do all the research yourself when there are experts on hand to help you? Let us do the work for you! We’ve spent years doing precisely this kind of research and our encyclopaedic knowledge of China, from its fascinating culture to its most beautiful destinations, means we already have the information you’ll need for your trip. In short, we’re here to help! If you’re thinking of traveling around China and you need some assistance tailoring a travel plan that is unique to you, please do not hesitate to contact us. We can offer suggestions for destinations you may be interested in, information that you need to get there or anywhere, and help with making a travel plan that works for you. Contact us now and see what we can do for you! If you want to understand and experience the culture behind one of China’s ethnic minority groups, then this tour is for you. Study the stunning architecture of a real Dong village, watch authentic festival performances, listen to beautiful ancient folk songs, sample the local cuisine, and witness the traditional dress of the Dong people first-hand. As the neighbouring province of Tibet, Qinghai is home to many ethnically Tibetan people. You will get a strong sense of what Tibetan culture is like when visiting Qinghai. There is a mysterious ancient road hiding in the mountains of southwest China. Hoof prints are imbedded on the narrow trails along high cliff edges and turbulent rivers flow under precariously suspended chain bridges. This was the road once treaded by the merchant caravans of Ancient China.